Breakfast on Christmas morning is always so lovely because there is a whole sense of anticipation but at the same time you don’t want to be spending ages in the kitchen away from all the excitement around the Christmas tree. 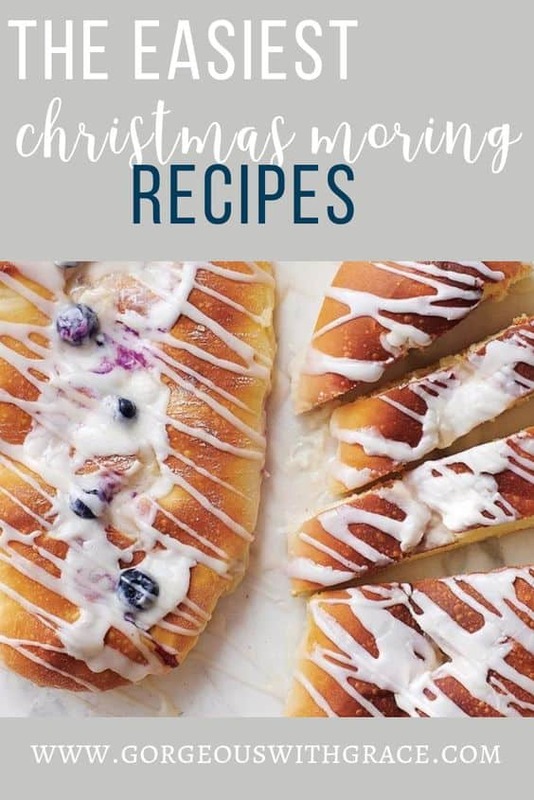 So I’ve rounded up easy Christmas morning recipes for you to make. 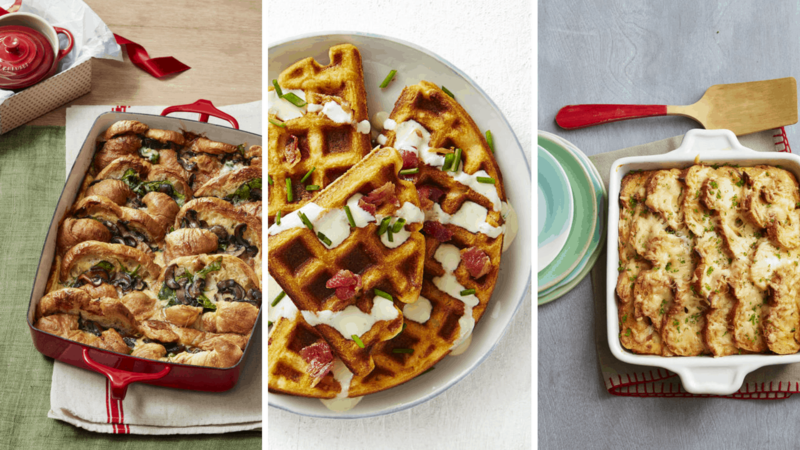 You don’t want to be spending too much time away from all the excitement around the Christmas tree, so these recipes are all ones you just pop in the oven and take out when it is ready. That way you are not missing out on any of the fun! I do feel like since Christmas morning is so special that it’s OK to have something really sweet and decadent. 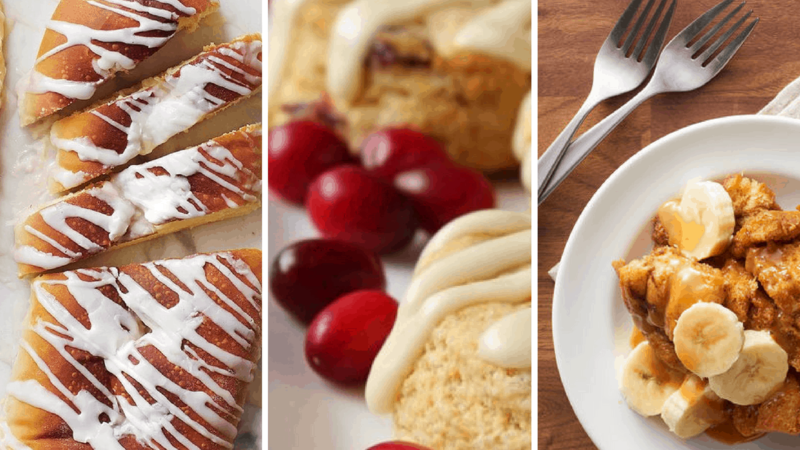 These recipes definitely tick all those boxes. 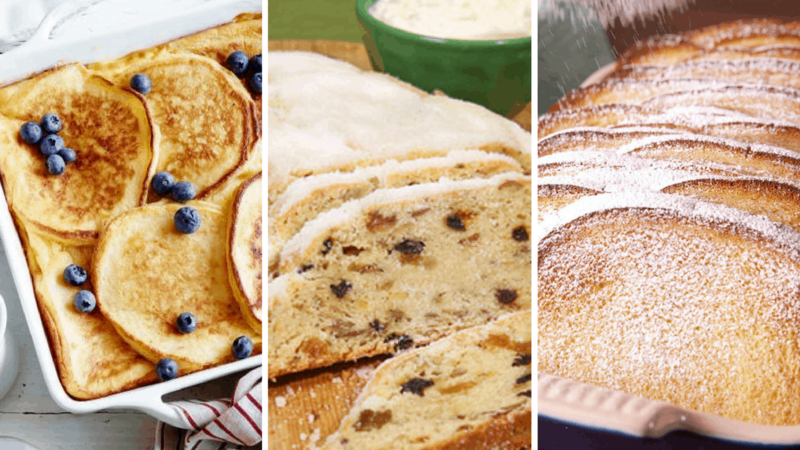 Some of us like a more traditional breakfast and these ones are so delicious. OK, can you tell I have a bit of a sweet tooth, haha. I also love a few carbs now and again, it is Christmas morning, we can treat ourselves. 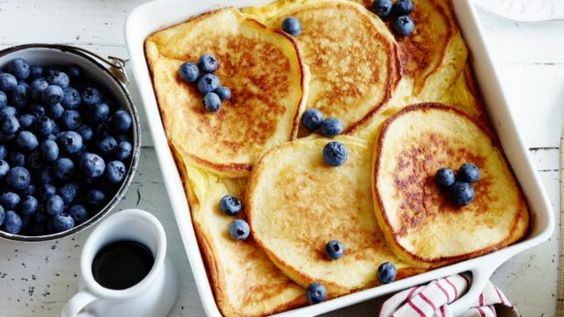 I love how you can make pancakes into a casserole! So delish! 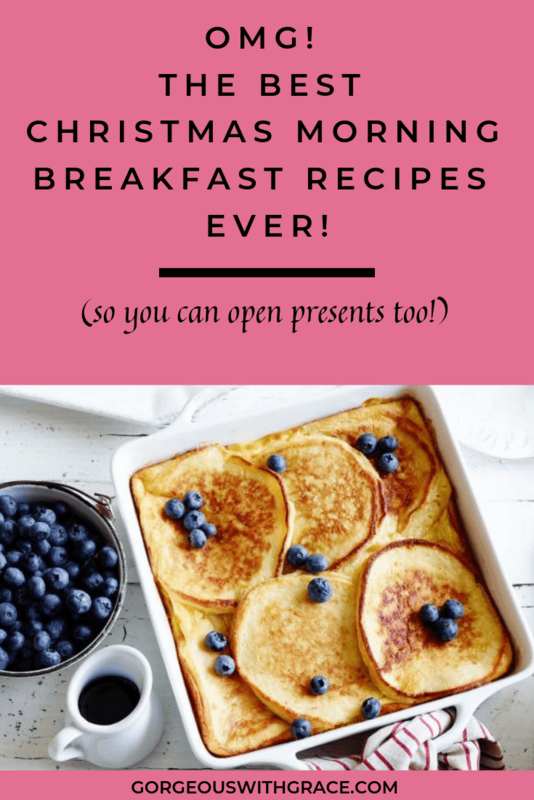 I hope you found a Christmas Breakfast recipe that you loved! 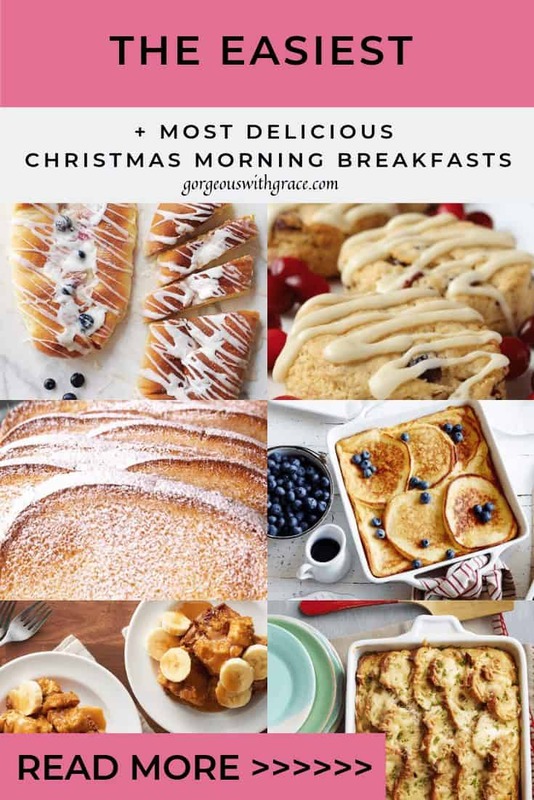 Let me know if you have a favorite or you make a special Christmas morning breakfast. Is it something that is a tradition in your home?